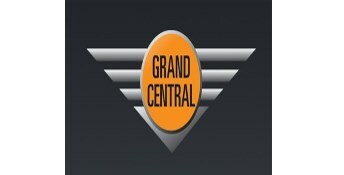 Grand Central had the most liked content! Yes. For those of us who want this info we will have go trawling the net for the simple stuff, now. Whether we find it all, consistently, in one place is very haphazard. Wouldn't it be brilliant if we could rely upon a weekly magazine to always give us the full details, race times and even a short report On each match attached to them. And for them all to be packaged together in chronological order in their own section at the back of the mag. It's such a good idea I'm surprised no one has thought of it before now. 2019. It's like going back to the 1930s. It is often said here that Speedway should be grateful for the quality of Speedway Star we get as it is a far higher standard that the rest of the sport deserves. I do agree with that sentiment, wholeheartedly. But one of the failings of British Speedway - in my eyes - is that it has been producing a poorer value product year after year and charging the same price for it. In general the paying numbers have fallen as a result. But the argument for continued 'cost cutting' has always been made on the basis of 'the sport having to cut its cloth'. Despite the fact that will only result in more loss of paying cusomers in a downward spiral. The star has resisted such a silly approach .... until now. But it would now seem that the arguments used for dropping match reports, of the style that has always been a core part of the magazine's appeal, are exactly the same 'cutting our cloth' that have got the whole sport into this mess. I suppose it is fittingly ironic that the mag should make just the same sort of mistake as the promoters have been doing for years. But it is terribly sad. PS. And the bizarre discussion on race times that have suddenly become so ridiculously difficult for The Star to include just beggars belief when they are announced over the tannoy and the updates site have them live as they happen. Why have we all gone mental this year ? I agree absolutely it is so comprehensive. It covers every minute detail on each UK club and also covers fixtures for pretty much the entire world of speedway. Which only highlights the poor nature of this year's racing record section. The part that records what actually happened at meetings that week. It is pants. Understand the financial side. But that is going to be a major loss for me as a subscriber. Match Reports was the section i always turned to second straight after the page 2/3 news page. Cannot bear to sift through the track by track articles to piece it all together. Understand why it was a 'call' you had to make ... But I think it is a wrong one. As I have said before October 25, 1993 ... Best night of my Speedway watching life. Somehow, after reading this topic, it feels all the sweeter. Oh no i didn't miss your point. I just considered it and, upon reflection, disagreed with it. Quite true.... But, then again ... The Karlsson's were certainly up for it that night and Henka put in a lot more effort as a guest than others hiding in Wolves clothing. No matter how considerable Sam's talents were nothing would have been capable of improving the performance of Evitts and Kennett that night. And the reserves were out of their depth before a wheel was turned. Psyched out of it. Devine intervention may not have been sufficient. It really was a fantastic night .... For us. By bringing in Paul and Max, John Perrin made the sort of changes that in the modern day Matt Ford makes to win league titles. Their impact on the team was tremendous, and not just on track in terms of the points they produced at 7 and 8. Without them the Aces would have never been within touching distance of Wolves come that fateful night even with all their misfortunes. The Northern junior grass track alumni of Joe, Stoney, Paul and Max had quite an effect on galvanizing them into a real 'team' and on the night itself it was critical. The truth is that the pressure on the riders that night was quite enormous and sadly Steven Morris and John Wainwright succumbed to it badly ... Whilst their counterparts Paul and Max thrived on the atmosphere, outscorng them hugely. PS.. Shawn Moran was the captain in 93. Max Schofield was captain for the second half of 1995. That would be a 'no' to a straight draw, then. And as you say just like many other years That would be a yes, or partly, perhaps. I only wondered. That is all. I'm not really any wiser, but hey-ho. Not of any improtance at all. Did a 'draw' actually take place at all. Or would it be more accurate to say that the composition of each semi was 'chosen' by FIM/BSI more deliberately than by chance. Being fair, Speedway Star are - in large part - a victim of circumstance. They 'peaked' early this winter with the excellent pre-AGM issue that was quite a departure from the usual fare the mag offers and could not be faulted. But since then there has been so little to be reported of any consquence that they were always going to be floudering for decent copy. My (very personal) view is that the reliance on a couple of rather stolid chunks of historical stuff and severe bout of Lanningitis has not helped much. I feel that the pre-AGM issue actualy raised an awful lot of expectations that something really would change for the better as a result of Chepstow. But the outcome was as non-event as possible and left many deflated. Similarly, the high spot of that issue of the Star has been followed with a return to what is largely the same-old format. The moral is we should all be happy with the Speedway we have ... for fear that we wont have any at all. And we should stick with the Star during the winter ... or risk being without a weekly mag at all come March/April. I will be renewing. Actually I couldnt agree more. My online subscription to the Star is one i turn to at Midnight every Wednesday and I will continue to do so without question .... But that does end up meaning that I cannot help being immediately aware of things i really like and things I dont. And that just seemed a bit obvious this week. Especially the formulaic writing style of Mr Lanning over quite so many pages. I am genuinely pleased that the sales are on the rise ... Clearly Phil Rising knows far more than I do about the decision making needed to run a mag successfully. Very, very harsh. But unfortunately so true. The timing of the AGM is partly to blame, so hopefully this was just a 'one off' dip in quality. But the rather tragic over use of Philip Lanning is just a backward step to the 1990s. The saddest part really is that this is probably the best outcome of an AGM that was ever going to be possible. Rather like Mrs Mays deal is. Though it pains me greatly to say it. I know just about everyone wanted more or bettter. But there was never any true consensus as to what that 'better' was. And the people actually involved can only deal with the situation as it is today. The real Politik. The last thing speedway needs is a rash of supporter resignations. We are better than Cabinet Ministers, surely.